From Wittnauer's Michael collection; this elegant two colour bracelet watch is the perfect dress piece for any occasion. 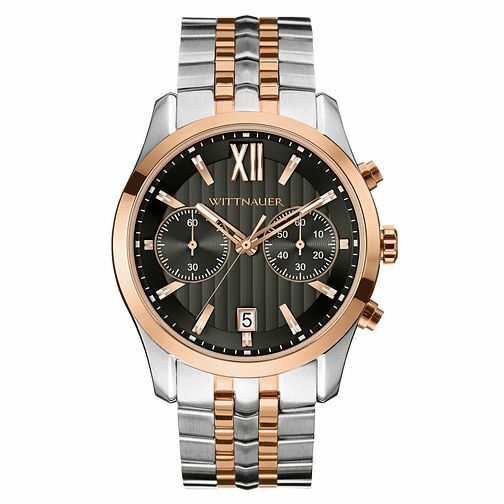 The soft silver and rose hues set against the black dial create a truly refined piece that is stylish yet masculine. This watch also features two sub dials and a date aperture for additional functionality.